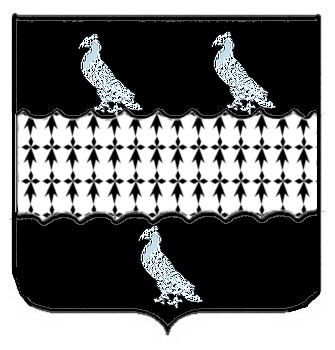 A black shield with an ermine fess between three silver doves. Spelling variations of this family name include: Culver, Culvere and others. Some of the first settlers of this family name or some of it's variants were: Edward Culver of Dedham, Massachusetts, was a wheelwright who settled there before 1640. He and his family moved to New London about 1653; W. B. Culver settled in San Francisco Cal. in 1850. The name culver comes from the ancient Anglo-Saxon culture of Britain. It was a name for a person bearing some fancied resemblance to a dove, such as mildness of temper. 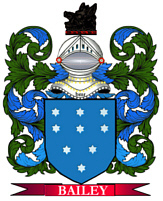 The surname culver is derived from the Old English word culfre, which in turn came from the Late Latin word columbula; this is a derivative of columba, which means dove. The nickname culfre was also used as a term of endearment. The first dictionaries that appeared in the last few hundred years did much to standardize the English language. Before that time, spelling variations in names were a common occurrence. The language was changing, incorporating pieces of other languages, and the spelling of names changed with it. culver has been spelled many different ways, including Culver, Culvere and others. First found in Herefordshire where they were seated from very ancient times, some say before the Norman Conquest in 1066. The Culver Family Project is open to all who are interested in working together to find their common heritage through sharing of information and dna testing. All variant spellings are welcome. If your Surname is missing and should be included, we'll be glad to add it. Please visit our website and add your family to the Patriarch Page.